Between March 8 and 11, a herd of mead makers (and a few bee-keepers), converged on the beautiful and scenic Omni Interlocken Hotel in Broomfield, Colorado in celebration of mead. This year, the weather was gorgeous, hanging in the 50’s – 60’s, with clear views of the mountains. Home brewing beer has its NHC (Ninkasi) and MCAB. Mead brewers have Mead Free or Die, the Domras Cup, and the SuperBowl of mead making, The Mazer Cup. This is the perfect setting to celebrate safely! March 8, 2017 was the first American Mead Makers Association conference. Attended by 75+ individual and commercial AMMA members, the day was jam-packed with interesting and educational presentations. Many topics were covered: the state of the Mead industry, how to market on a budget, how to start a meadery, a CBD-infused mead demonstration, a barrel cooperage demonstration and discussion on barrel aging mead, and how to filter. The presentations ended with Ken Schramm (Schramm’s Mead, The Compleat Meadmaker) laying out the challenges ahead of the craft Mead industry, and storytelling as only Ken can do! The evening ended with the MeadUp, a party where many commercial meads were poured. This was a chance to talk with Susan Ruud (Prairie Rose Meadery), Sergio Moutela (Melovino), Jeff Herbert (Superstition Meadery), Eric Lowe & Mike Simmons (Meridian Hive ), and many other great mead makers, all friendly and generous with their time! You will detect a theme moving forward. So yes, a party nearly every night! Bring a steel liver. The conference and Mead Up was organized by Vickie Rowe (GotMead.com) who is now the AMMA Executive Director. I want to give her a shout out for an amazing job and very cool conference experience. The AMMA is the nascent organization to support and promote mead as a craft beverage. While it is currently focused on commercial issues, it is also a place for individual mead enthusiasts to participate. Given the rapid growth in this craft beverage category, the AMMA has been driving hard on The Mead Act, designed to give mead makers the same advantages as commercial wine and beer manufacturers. Please join the AMMA, even as an individual! The singular needs are both in terms of money (to support programs, research, and political issues) and resources (volunteers with specific skills and ability). The following afternoon, fortunately after letting everyone sleep in late, was the AMMA Annual Meeting, which has been integrated with The Mazer Cup for a couple of years. Here, we broke into groups to help brainstorm ideas for a strategic business plan and organizational projects. This gave every member attending the ability to comment. We also raised a little over $2,000 to help bolster the financial resources of the AMMA. Please note that the AMMA and The Mazer Cup International are independent of each other. The Mazer Cup competition is an all volunteer organization not directly affiliated with any commercial Meadery or the AMMA. In the evening, there was an opportunity to take the Sensory Calibration Session with Pete Bakulic, president of the Mazer Cup organization. We started with a Saw Palmetto Gewürztraminer pyment, aged for 15 years, brewed by Glenn Exline. This was incredibly complex and not much like a wine at all. Prominent tobacco and grape aromatics, some caramel and fruit leather and stone fruit. It was just amazing and perfect. Pete walked everyone through tasting techniques and thinking processes. We finished with advice to judges for the coming two-day competition judging. Pete walked everyone through tasting techniques and analytical processes. We finished the session with Ryan Thomas providing judging advice and procedures for the coming two-day competition judging. The competitions are run by Glenn Exline and Ryan Thomas, and an excellent team of volunteers, The Mazer Cup is an incredible judging and stewarding experience. If you attend, please volunteer as a steward or a judge. Both roles are informative and enjoyable, but can also be a lot of work. The Mazer Cup is a master class on running a top notch competition. Friday is the commercial judging, and if you are BJCP Certified and Mead Endorsed, ensured to get into several flights of incredible mead! I had the opportunity to sit with both Susan Ruud as well as Sergio Moutela. Not for the faint of heart, however, as I managed to get mostly sack (read strong) entries through the day. Three flights and a mini-bos, left me somewhat exhausted. The Mazer Cup sets the standard for excellent stewardship. Mead is poured away from the table (to keep judging blind), and served in polished wine goblets. A steward sits at the table to manage all of the paperwork, and division of the table (two or three sets of judges), and keep the samples flowing and the table clutter free. The evening ended with another party. The Mazer Cup Mead Mixer featured 20+ commercial meaderies, pouring their wares, along with some welcome small dishes and deserts. All funds raised (tickets and donations) go to help fund the Community Food Share of Boulder and Broomfield Counties. This is a great chance to taste both available and pilot batch mead offerings, many of which you can only get at the meadery itself. It is also an opportunity to explore the amazing variety and innovation that is driving craft mead. And as if you didn’t drink enough, an after party in a suite took the party well into the early morning. Saturday, the amateur competition was judged. Where the commercial meads were great, the home brewed meads were equally amazing. Six hours of judging, I needed a meal and a nap. The competition was brutal. I personally gave at least three entries a score of 45 or better. And I am pretty picky. My friends from Meridian Hive. Medalling like a boss! Four freaking Golds! The evening ended with the awards ceremony, an amazing dinner to reward all of the commercial meaderies and volunteers. It is crowded, loud, and a tremendous celebration of mead. The Mazer Cup really takes care of the judges and stewards, with reserved tables. Jeremy Voeltz, or AZIPA on Homebrewtalk, earned two cups! I watched and cheered as friends collected their awards; especially happy with my friends at Meridian Hive who took FOUR gold medals! And homebrewer friends, such as Jeremy Voeltz and Billy Beltz won multiple Mazer Cups! Sadly, I didn’t place this year. A LOT of mead was consumed. And, as expected, the party moved up to a suite and continued till 4 am (or so I heard, I went to bed). Many blurry eyes and dragging folk were checking out the next morning! Billy took a total of two cups as well… Next year, his meadery, Lost Cause, should be competing on the commercial side, leaving room for us mere mortals! The Mazer Cup has grown to become one of the hardest competitions to place. Home mead makers are rivaling the best of the best commercial mead makers! Anyone that loves mead needs to put this competition on their bucket list! Warning – the competition entry limit was exceeded in just a few days so you need to be ready when announced! It is also supporting a very good cause. The AMMA needs all of us and resources to continue to propel the industry forward. 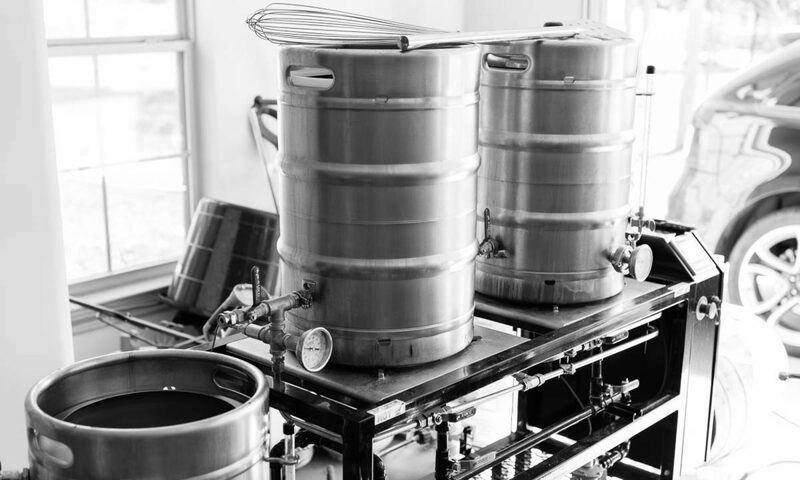 If we consider all that the AHA and BA have done to help both homebrewing and craft beer, the AMMA is poised to become the same to craft mead beverages. If the strategy session is any indication, the resources available to members will be extensive and extremely valuable. Current members have access to beautifully produced digital editions of the American Mead Maker Journal. Get involved! Finally, I encourage you to review The Mead Act. This is very important legislation designed to level the competitive playing field for craft mead at the Federal level, including a broader definition. Currently, mead is poorly defined and very limited in scope. The requirements for formula and limitations on ABV firewall craft mead from competing on wine and beer shelves. AMMA and its members are paving the way, we can help!